Jammy is a collaboration brewed with our friends at Casey Brewing and Blending in Glenwood Springs Colorado. Our shared admiration of layering fresh, local fruit into our tart Saisons provided the inspiration for our second collaboration. 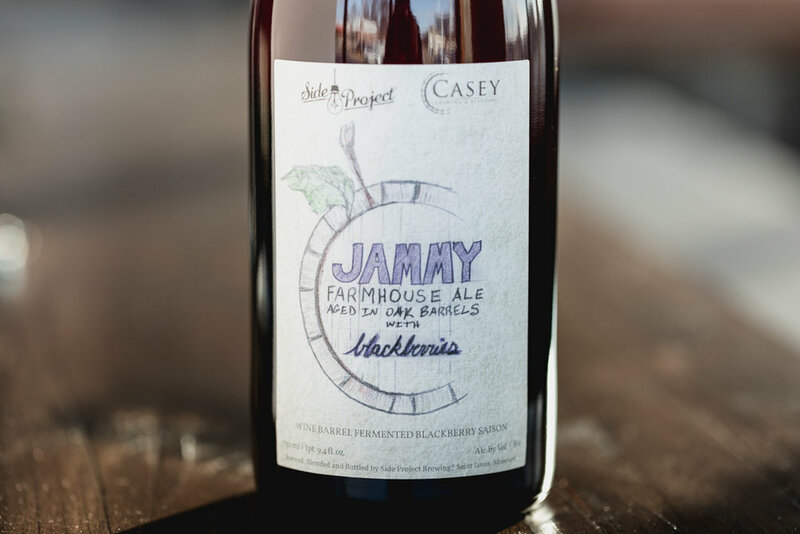 Jammy is a Saison that was fermented and aged with mixed cultures from both Missouri and Colorado in French Oak wine barrels for 8 months on Missouri blackberries before being naturally conditioned in this bottle.